The worker bee was adopted as a symbol of Manchester during the industrial revolution, when it was leading the way for the rest of the country in mass production techniques. In fact, you can find bees everywhere in Manchester City Centre to this day! 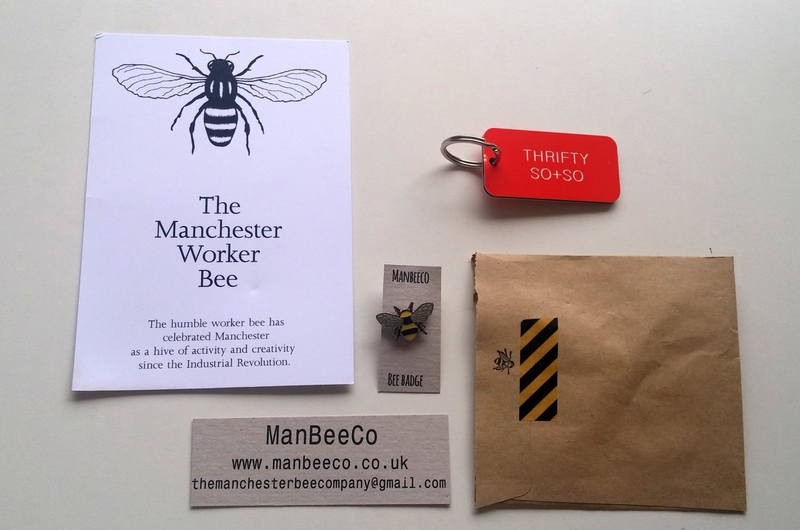 ManBeeCo is a Manchester-based company(obviously) and they create cool items inspired by Manchester’s history, and the symbolism of the worker bee. 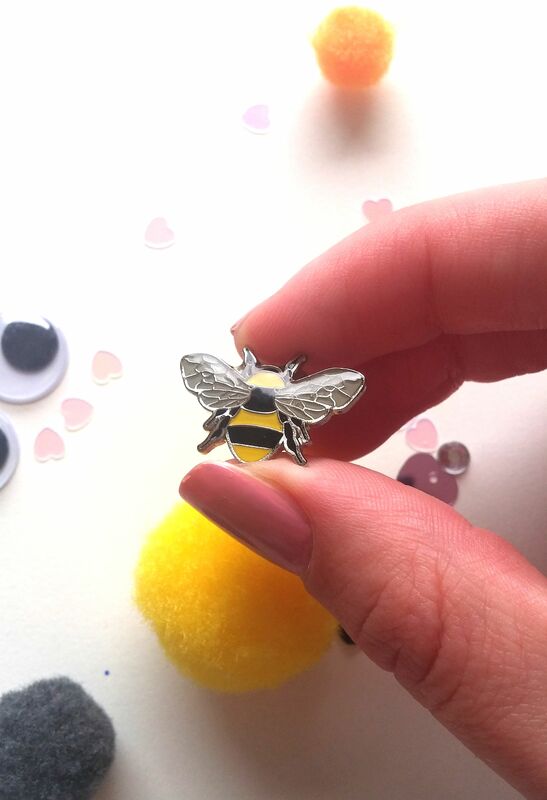 Anita, the busy Queen of the hive at ManBeeCo, very kindly send me this cool bee pin (I absolutely love bees, I was so excited about this!) and a custom hotel room key keyring- they offer a custom service to have anything you like written on one, and in a range of colours. I opted to have something made that incorporated both my blog name and some of that good old Manc cheekiness. 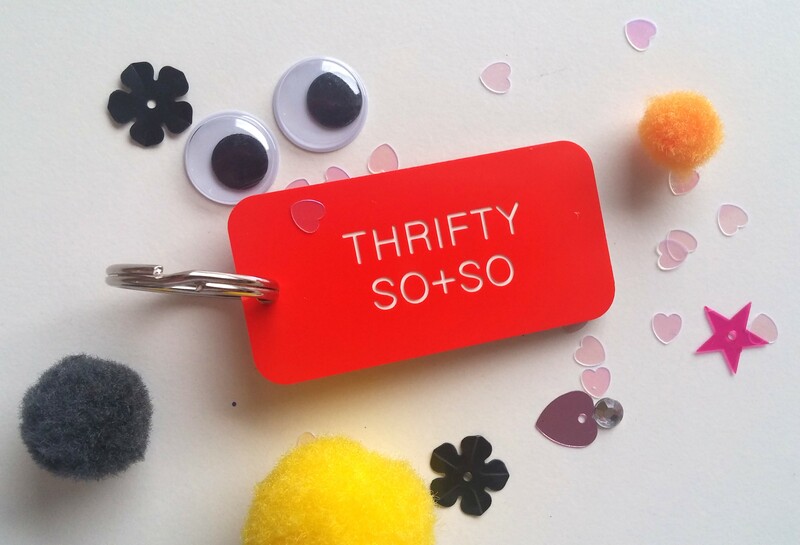 I think I managed to nail it with “Thrifty So + So”. Thanks Anita, it’s awesome! If you’re lucky enough to live in Manchester, you can shop their items at the exclusive stockist the Royal Exchange Theatre Gift Shop, on St Anne’s Square! I absolutely love the attitude of some of the designs! 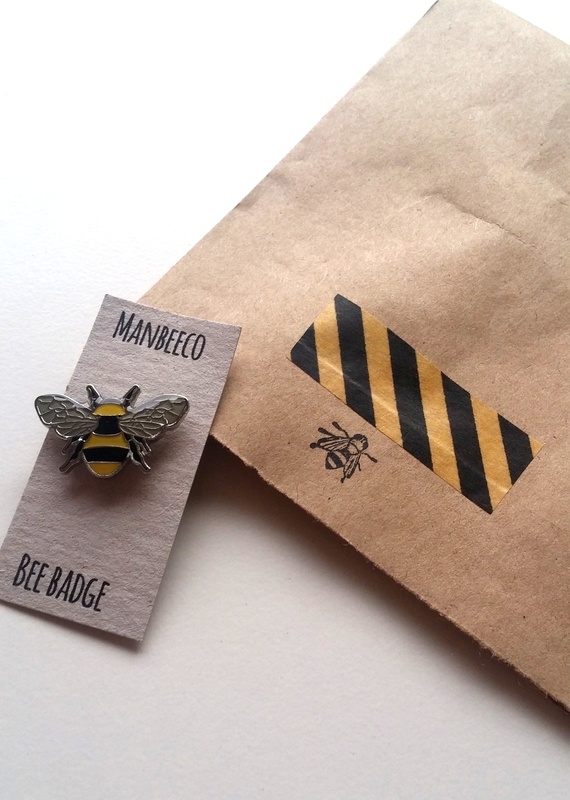 It’s so Mancunian- If you’re a proud Manc then there’s definitely something here for you at ManBeeCo. 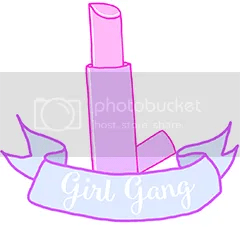 Visit their website, Etsy Shop or Instagram page!